The Latin American Materials Project (LAMP) acquires, preserves, and maintains microform and digital collections of unique, rare, and bulky or voluminous Latin American research materials for its members. LAMP emphasizes original preservation, either through microfilming or digitization, though it may also purchase existing microfilm. LAMP bases its activities on annual membership fees. The geographic scope of LAMP includes all of Latin America, including the Caribbean region and Central America. LAMP, formed in 1975, has conducted projects in cooperation with Latin American repositories and now devotes greater attention to preserving primary source materials, such as political archives. While LAMP’s holdings are widely representative of the region, its Brazilian materials, Haitian imprints, and annual ministerial reports from all countries are particularly extensive. LAMP has digitized a substantial body of Brazilian materials already in microform to expand access. Some LAMP microfilm is available for purchase. For more information, see Microform Sales. Meeting Minutes and other information related to the ongoing work of LAMP may be found in the LAMP Workspace. The LAMP Workspace is a wiki tool that members can access to review and edit or add content. It is open only to LAMP Members. For questions or information about LAMP, contact Judy Alspach. 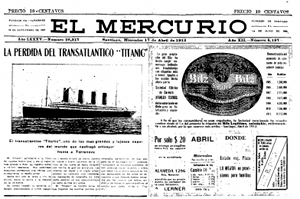 LAMP has acquired microfilm for 1909–13 issues of the Santiago, Chile newspaper El Mercurio, which was founded in 1900. Today the conservative title is considered the country’s newspaper-of-record.